Confession… I am a lazy cook! That is why most of the recipes in my cookbook take 15-30 minutes and one pan to make. It is why I absolutely love stir-frys and let my children learn early how to help prepare and cook them. 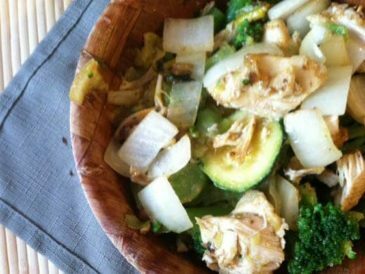 My chicken vegetable stir fry includes chicken, onions, summer squash, and broccoli, but can be substituted with any of your favorite veggies! This is one of the fast dinners I make when we are on the run. It isn’t fancy, but it tastes great and the kids always eat it! 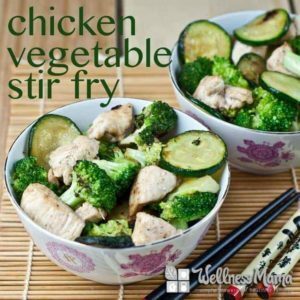 Chicken vegetable stir fry is excellent served over rice (if you eat rice), and we usually top it with coconut aminos (similar to soy sauce). 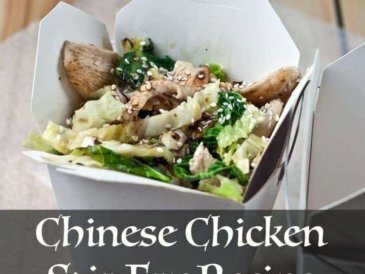 It is a very versatile recipe and different seasonings can change the taste to make a completely different dish. I’ve used many of my homemade herb and spice blends on this stir-fry. Some of my favorites to use with this are curry powder, Cajun seasoning, and Italian seasoning. 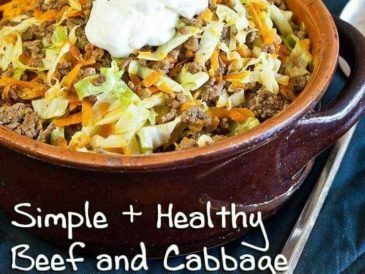 If you want a quick and healthy meal idea, give this one a try! A simple one-pan stir fry with chicken, vegetables, and spices. 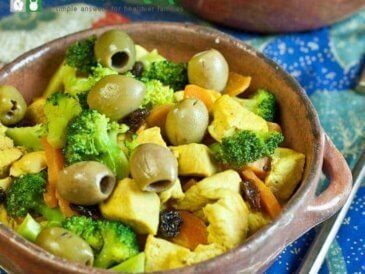 Excellent over rice or spinach. 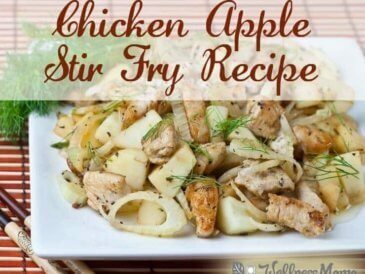 Add chicken and cook, stirring constantly until cooked. Add vegetables and cook until slightly soft. 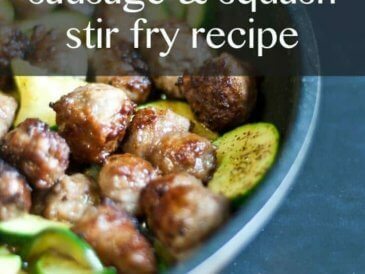 I suggest adding onions first, then squash a few minutes later, then broccoli at the end. Try changing the seasoning to curry powder, or Cajun seasoning, or Italian seasoning for variation. Serve over rice or spinach and with a splash of coconut aminos if desired. What’s your favorite stir fry?